After being really annoyed with myself last week over the amount of sweet treats I had had which I do believe hindered my overall loss, I began this week feeling super strong that I could pack in the sugary treats and try to focus only on savoury foods. Obviously sugar is an addiction so the more you have it, the more you want it. I desperately wish I was a savoury fan over sweet but I'm not so I'm pretty screwed. If baffles me when people are like "yeah I don't eat cake or anything" - how odd! Last Sunday after my weigh in I went shopping with my friend Jade to Manchester City Centre. This is so embarrassing to admit but I would have dreading doing something like this before because I would potentially have the issue of a sore lower back as I walked and knowing I couldn't just sit down would be a nightmare. This time around I could walk for however long I needed to without a struggle. 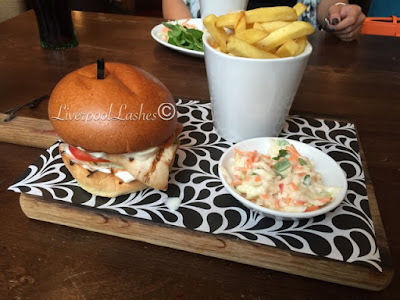 We had lunch at a lovely pub and I chose an Italian Chicken Burger and chips, eating the whole thing. 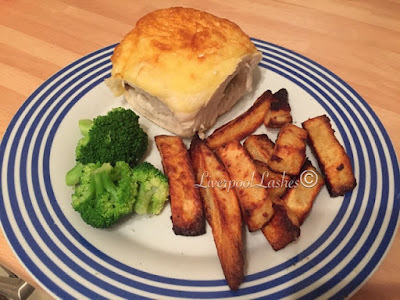 I love the way I eat now, I don't want to use food as a "treat" as I feel it gives the wrong association with food but as a one off I really appreciated it. To try and combat my sweet cravings but still snack I've been eating popcorn. 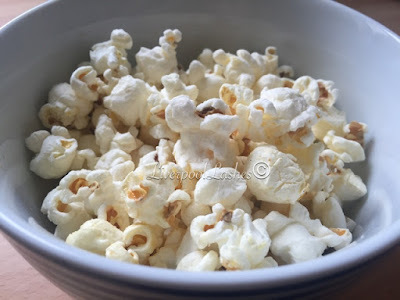 Of course in an ideal world it would be Butterkist popcorn with that hard shell of toffee surrounding each one but I found smaller mixed variety bags of sweet and savoury popcorn in Tesco which are around 65 calories each. Eating popcorn makes me feel like I'm eating a lot of something but it's not too bad for me. I am trying to get better with eating breakfast. Don't get me wrong, I love breakfast but for one reason or another I just don't make enough time for it although I realise how important it is. 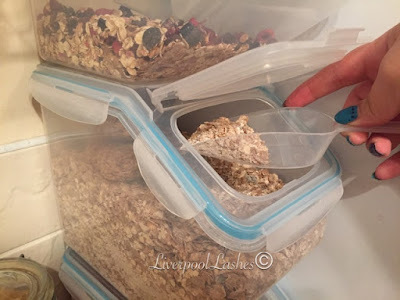 I bought these containers from Asda that were in their clearance section, complete with their scoop so I now refer to this as my "breakfast bar" and it makes me feel like I'm eating in a hotel. That's a hilarious, not related fact but it is true! Apart from the Italian chicken burger on Sunday, my favourite meal was also a burger that I had on Friday evening. I had spotted these cheese topped buns in Asda and noticed the calorie count. As I very rarely have bread that's this thick now, it was a complete treat which I thoroughly enjoyed. I realise that the broccoli is pretty funny next to a low nutritional meal but it's better than nothing! I'm at the point now that people really notice the change in me. I can see a lot of change in myself but then I think that it means so much more coming from others because I think my mind only ever saw myself in a certain light anyway or I wouldn't have gotten as big as I did. My Dad sometimes calls me 'skinny' (I'm far from that but it's cute when he says it!) I do actually feel the changes in my figure, it's so hard to describe but my waist and my stomach has so much more definition. I will soon need to get measured for new bras as I do believe some has gone from there which I'm not entirely bothered about, just as long a some of it stays! 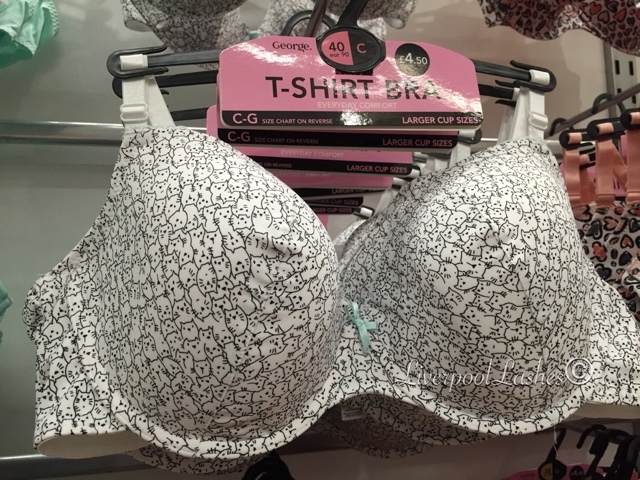 I saw this bra with cats all over it in Asda which I thought was pretty cute. Finally.... the weigh in. In my heart I knew that I had been on top form this week. I realise I had two burgers but I stayed under my calories with both of them and was extremely careful with the other meals on those days. Even though I knew I had been good, you just never know what the result is going to be however, this week I lost 3lbs! 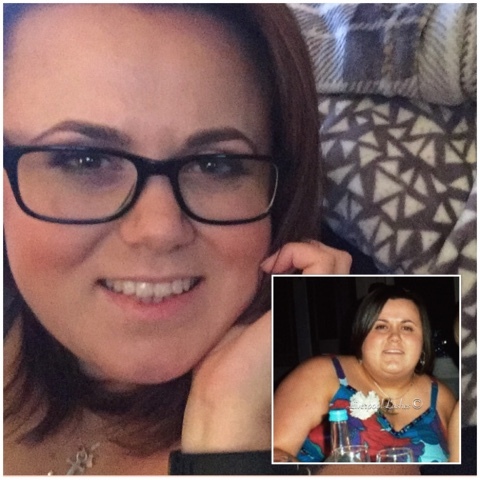 This brings me to a total of two stone and 11lbs (or 39lbs) in 14 weeks! People tell me they're proud of me and that means a lot but you know what? I'm proud of myself. Determination is a huge part of my personality, I stick to my word and when I said I was going to do this, I knew that I would. I have a long way to go but I will get there.